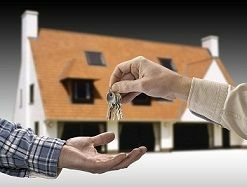 If you own an investment property in the Whitesboro, New Hartford , Oriskany, Rome or Utica New York areas that you lease or plan to lease, then you should consider Landlord Insurance. Coverage can vary depending on the investment property itself and the lease agreement but your basic policy could be viewed as homeowners insurance for Landlords. D&B Allen Insurance Agency, Inc can help you evaluate your risks and build a policy that fits your needs. And, as an Independent Agency we have access to a number of the top Insurance Companies.